Home :: MILK SOAPS :: Maui Wowie! This soap has a wonderful eat me up fragrance to it. It has very crisp, juicy top notes of juicy orange, lemon, and maraschino cherries; followed by tangy pineapple, acai berry, and sea spray; well rounded with base notes of sweet coconut, vanilla rum, and fresh ozonic notes. 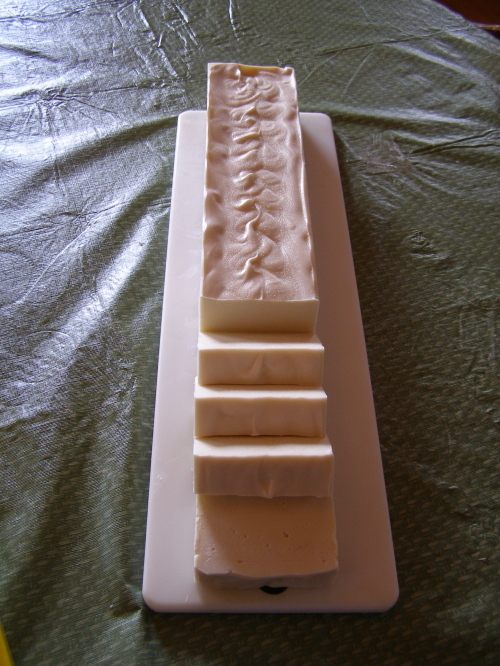 It is made with saponified oils of Tallow, Coconut, Castor and Olive. Then Mango Butter is added, and it’s all topped off with creamy rich Coconut Milk for soothing softness. This soap makes me want to drink it with a little umbrella in it!